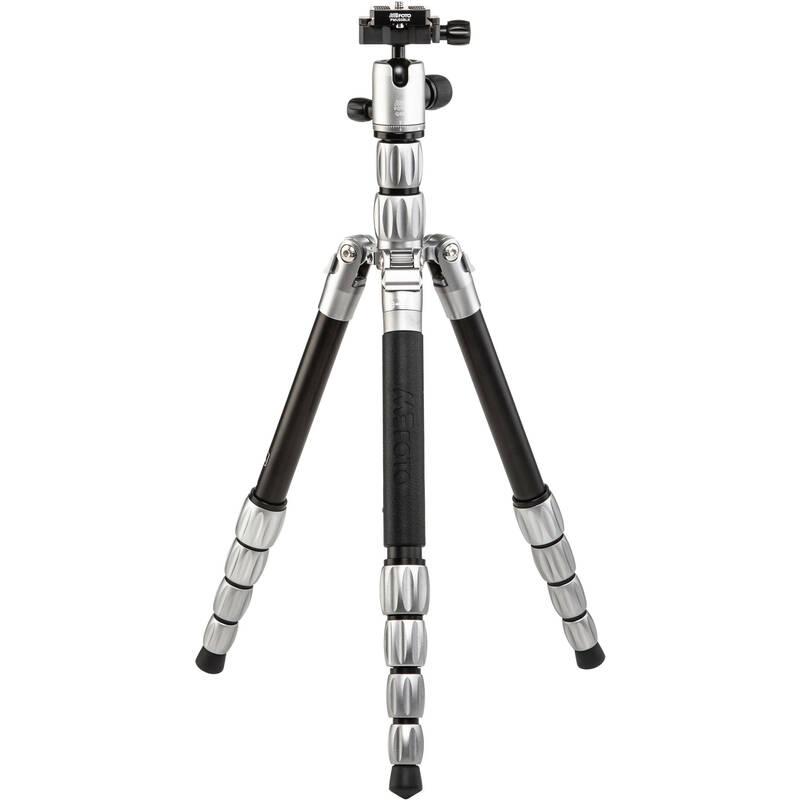 The BackPacker S Travel Tripod from MeFOTO is a 5-section support with aluminum legs and titanium anodized-aluminum twist locks that are knurled for a comfortable grip while opening and closing the locks. 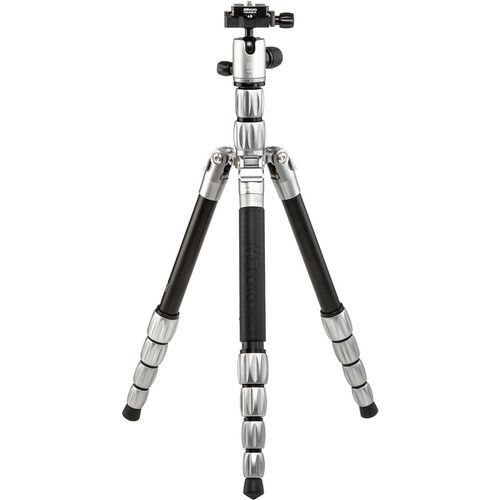 By extending the legs and the 2-section center column, the 2.5 lb tripod can reach a maximum height of 54.7" and to a minimum height of 13.2". The legs fold in the reverse to a length of 13.2", so it can be carried to another location. The removable rapid center column and tripod leg combine to a full-working monopod. The Arca-type compatible ball head has a load capacity of 13.2 lb and includes a quick release plate with a 1/4"-20 camera mounting thread. Box Dimensions (LxWxH) 14.8 x 3.8 x 3.7"
Does the working height of this tripod include the height of the ballhead ? Yes it does. The maximum height of this tripod system is 54.7&quot;. Would someone know if the ball head can be detached and swapped? Thanks in advance. The ball head can be removed. Will this hold the majority of DSLRs? Does the ball head include a bubble level (like other MeFoto tripods)?